Day 1: Our crew will be ready to pick up You at the Hotel, Harbor, Train station or airport. Departure from pick up point we will bring You drive for 5h in 4wd vehicle by crossing Jungle and 3rivers to reach Sukamade area, Sukamade is a beach mainly used for Turtle conservation it's located in Sarongan village located about 97km southern east of Banyuwangi regent which is the only one entrance to Sukamade. Sukamade is part of Meru Betiri National Park and its officially as a national park since 1982 but the conservation facility in Sukamade already started on 1972 means 10years earlier than the National park. Actually there are several animals inside the national park even in small number and it's completely protected like java tiger, bull, Leopard cat, Wild pig, Black Javanese monkey, deer etc. 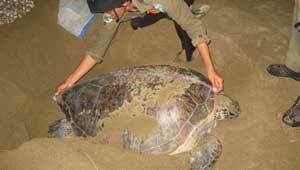 In this part the government really concern to protect the Turtles. 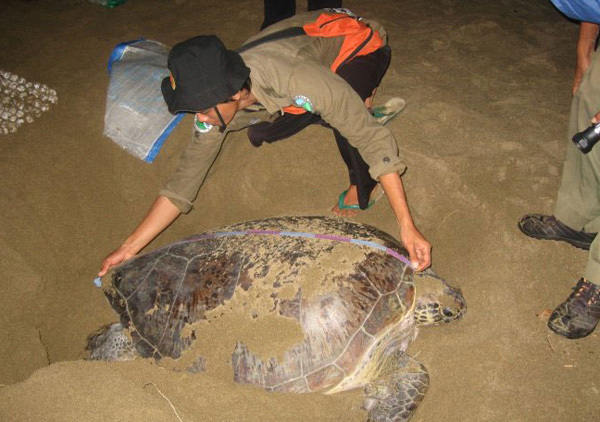 there about 4 kinds turtle which used to come to Sukamade beach to laying the egg, Green sea turtle, Hawksbill turtle, Olive ridley turtle and the occasional leatherback. 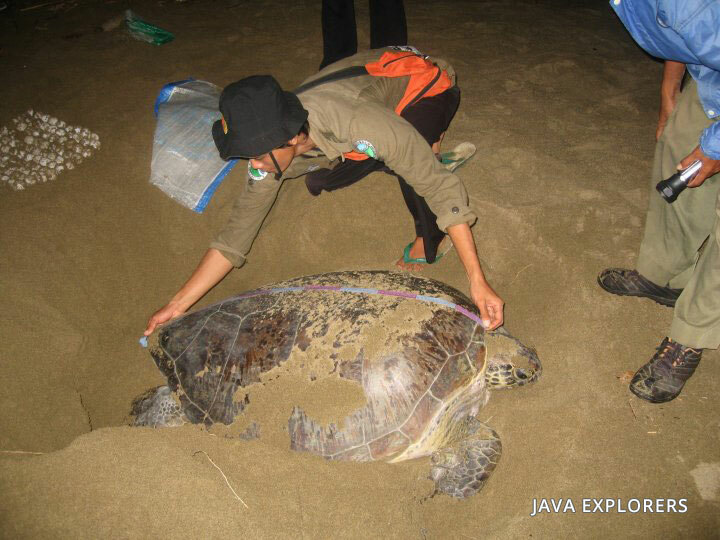 Green turtle is most often come to Sukamade beach which almost along the year they come to laying the egg, every night we can found 2-5 turtle and in average they will lay the egg between 70-100 eggs for each turtle then the ranger will dig the egg and bring it to the conservation cabin. Inside the cabin they have same sand from the beach to keep the egg for 40-60 days wait for hatching process, this activity we call it semi natural hatching because when the eggs touched by human or moved from the turtle hole it's means not pure natural anymore and the reason why the ranger have to move the egg from the beach because so many predator there like Pig and monitor lizard, human was the biggest predator also for them. 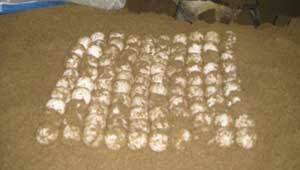 This system quite helping for the Turtle population because they are really susceptible, when the baby hatched the compare of survived turtle is 1 with 1000. 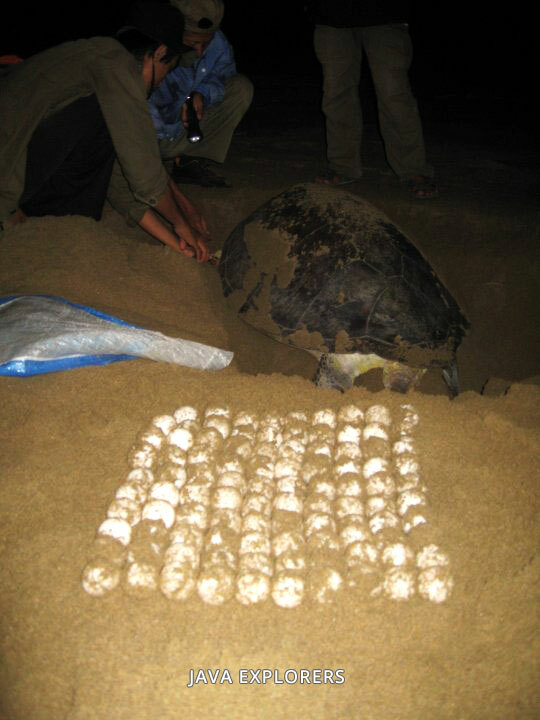 Last 40 years the ranger claims they've been monitoring and tagging about 3000 turtles. After drive 5h you will arrive to the homestay and need to know the homestay is only a basic room for overnight. regularly you arrive before sunset after check in continuing by walk 600m to the beach to release the baby turtle while enjoy the sun setting then back to homestay for wash and dinner, after diner is the main attraction for the visitors they need to stay on the beach while the ranger looking the turtle spot then when they found some they will call You and it's most impressive attraction when You see directly the turtle laying their eggs. When you finish just back to the homestay and overnight. Day 2: After breakfast then ready drive back to Bayuwangi city along the drive with bumpy road you can enjoy the beautiful rainforest and possible for quick stop to see local people when they produce rubber in the morning and stop to se cacao plantation all will become one unforgettable experience for You and end the tour by drop off You to the next hotel, Harbor or bus/train station.